While the NFL is a sport of brutality and incredible displays of athleticism, it’s also one that relies on intelligence. Players must memorize complex schemes, packages, and coverages that would give the average college student studying for a mid-term a headache. While athletes in the past have been characterized as dumb jocks, it clearly takes some level of mental acumen to succeed at the NFL level. 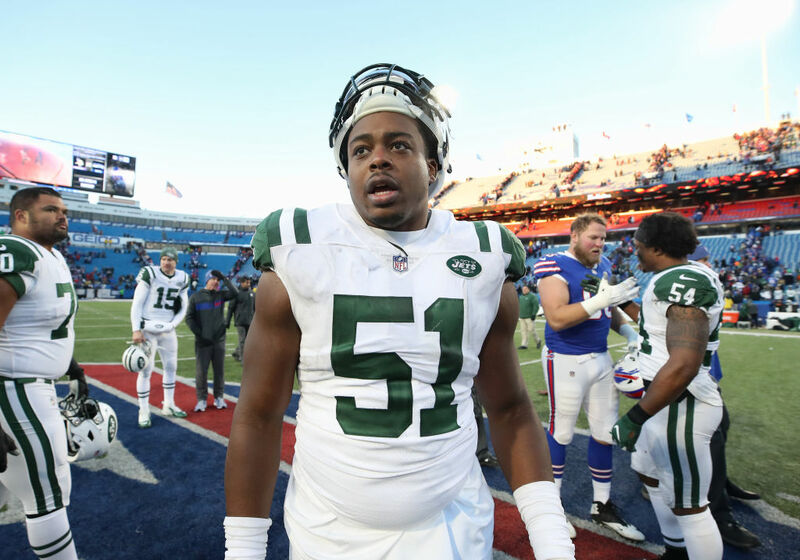 In a league filled with players trying to grasp complex concepts, the Jets’ Brandon Copeland may be the most intelligent, and it’s not due to his Wonderlic score. 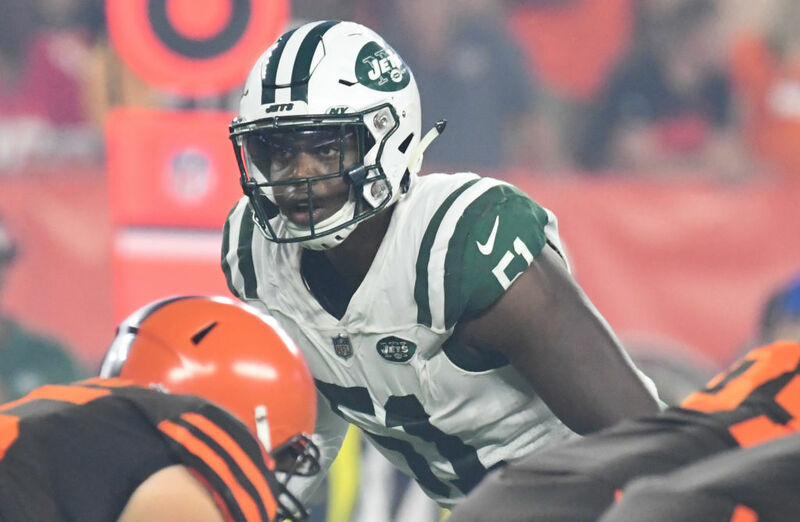 Let’s take a closer look at why the Jets’ Brandon Copeland might be the smartest player in the league. What is Brandon Copeland’s Wonderlic score? Copeland’s Wonderlic score is not documented online. The league does not publicly release every player’s scores, though some have been captured and reported by the media. There’s been much debate over the value of the Wonderlic test and its ability to reflect a player’s true intelligence, however. Vox calls it totally worthless. Johnny Manziel scored a 32 — considered rather high — and was out of the league within a few seasons. Some players with historically low scores still went on to have great careers, such as running back Frank Gore and cornerback Patrick Peterson. While Copeland’s Wonderlic score may be a mystery, it might not even be an indication of his intellect. Where did Brandon Copeland play college football? Brandon Copeland played his college football at the University of Pennsylvania from 2009-12. He was a three-time Ivy League champion at linebacker. He finished with 11 career sacks and 160 career tackles, and he was a three-time first team All-Ivy player. As noted above, Penn is an Ivy League school. Ivy League institutions are known for their academic prowess. These schools often place priority on academic over athletic performance. Copeland also enrolled in Wharton, an acclaimed business school at Penn that is widely regarded as one of the best business schools in the country. For Copeland to attend such an academically prestigious university and such a well-regarded business school, it’s clear he possesses above average intelligence. Why is he one of the smartest players in the league? Why do we say Brandon Copeland is one of the smartest players in the NFL? It’s due to more than the institutions he attended. It’s also due to how he applies the knowledge he gained at these institutions. Brandon Copeland saves a significant amount of his salary. For a professional athlete, this is a key to financial success. Many pro athletes before Copeland have gone broke, unable to handle the pressure of big contract payments the likes of which they’ve never seen before. Copeland has a Wall Street and real estate background as well. He interned at an investment bank and flips houses with his wife. Copeland also teaches a class at Penn called “Life 101” in which he dispenses financial advice. He doesn’t just have sound financial sense — he also shares the knowledge he has gained with the younger generation in an attempt to help them as well. For his financial savvy and ability to spread the knowledge he has with others, Brandon Copeland is one of the smartest players in the NFL.